CTR vs. CTOR: Which Email Metric Should You Track? CTOR (click-to-open rate) is a metric that compares the number of people that opened the email to the number that actually clicked. CTOR only measures the performance of the content of the email. You can measure CTOR by using this equation; Number of Clicks / Number of Opens (multiplied by 100 for a percent) = your CTOR. When I say, "I'm an email marketer," how does that make you feel? Chances are high that you cringe, as you think of all of the emails currently clogging your inbox. Or maybe you grimace in solidarity, for you, too, are an email marketer with an equally swamped inbox. If it's the latter, you know just how tricky and competitive the world of email marketing can be. Just look at what we're up against: Together, you, me and all of the other email marketers of the world send out 196 million emails every day. And of those 196 million, only about 20 percent actually get opened. Yikes. With odds like that, how do marketers know if an email campaign is successful? 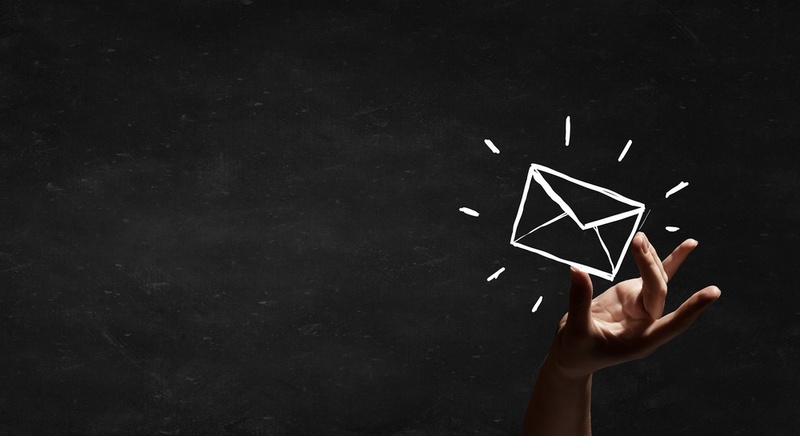 While an email's open rate is a great metric of success, it doesn't tell you the whole story. Here are the email marketing metrics should you rely upon to get an honest picture of how well your email marketing campaigns are (or aren't) doing. The email delivery rate demonstrates how many of the emails you sent actually made it to their recipients’ inboxes without hard bouncing (being sent to an invalid email address - essentially unable to be delivered), soft bouncing (a temporary failure in sending), or to contacts that have previously unsubscribed. If the delivery rate sounds simple, that’s because it is simple. But just because it’s simple doesn’t mean it’s not important. The email delivery rate is a great way to keep an eye on how healthy your list is. Understand how to rank higher in search engines and get your most common SEO question answered. The email open rate is - you guessed it - the number of people that actually decided to open (and hopefully read) your email. The open rate can be measured in two different ways: 1) total number of emails opened divided by total delivered; or 2) total number of emails opened divided by total sent. But what does this number tell you? Well, if you see a lower than expected open rate, you may want to consider revising your subject line the next time around, because it wasn't compelling enough to prompt action. By now you’re probably thinking, "Duh, the email click-through rate (CTR) measures those who clicked-through on an email - what is this chick thinking?!" Bear with me. I have a point and a purpose, and both, in my opinion, are worth your while. But first, you’re right. The CTR tells you how many people clicked-through on an email message, and that can be calculated as number of people that click divided by…? Nine times out of 10, it’s divided by the number of emails delivered. However, the source of this number is not always clear, depending on the platform. CTOR stands for the click-to-open rate and compares the number of people that opened the email to the number that actually clicked. What does that mean? Let’s say you send out two different emails, Email A and Email B. You send each to 100 recipients. Now, because you practice awesome list hygiene, you’ve already removed all of the emails that have hard bounced and unsubscribed from your contact lists, and by some stroke of magic there were no soft bounces, all 200 emails (100 A and 100 B) were delivered. Go you! How did Email A do? Of the 100, only 10 people opened the email, and only 5 people clicked. How about Email B? Of the 100, 50 people opened the email, and 10 people clicked. The difference in CTR and CTOR might seem slight, but it’s important. If you’re looking at CTR, Email A has a CTR of 5 percent, but Email B has a CTR of 10 percent. Does that mean that Email B was more successful? Not necessarily. If we look at the CTOR of each, we find that Email A’s CTOR is 50 percent (5 clicks divided by 10 opens), and Email B has a CTOR of only 20 percent (10 clicks divided by 50 opens). Essentially, the CTR takes into account all of the in-box actions. By contrast, the CTOR only includes the actions of those who have opened the email. Thus it isn’t skewed by reactions to timing, subject lines, “from” fields, etc. In short, it only measures the performance of the content of the email. In a world where content is king, that’s definitely a metric worth looking at. That's a bit of a trick question, because I’m not saying that the CTOR is better than the CTR, or that one paints a more honest picture than the other. What I am saying is that they analyze, represent and demonstrate two totally different things. Whereas the CTR shows an email’s overall performance (which truly is a culmination of many different factors), the CTOR only examines the success of the content within the email. When you understand the difference, you can see that both metrics are incredibly useful tools to have tucked away in your email marketing arsenal. But you shouldn't forget about the delivery and open rates either. They may be oldies, but they are also goodies and are still around for good reason. Together, all of these metrics tell a story that will help you answer the following questions: Did your email get to the right place? Did your recipients actually open the email? And if so, did they click through? Focusing on these numbers, you'll be able to send emails effectively, email marketing friends of mine! And if you send emails effectively, just remember, not only might they be opened, but their links might even be clicked and clicked through.